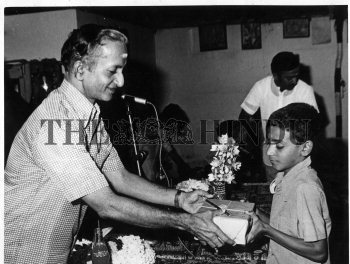 Caption : Dr. K.S.Moni, distributing notebooks collected by the Sri Sankara Youth Front to poor school-going students. The function was held in Trivandrum, the Capital of the southern Indian State of Kerala. 1984-06-11.